Having worked with many inspirational colleagues, one in particular has made a significant impact on my thinking. On the back of his office door is a note which states “What got you here won’t get you there”, reminding him and those who visit his office that continued success requires constant review and change. As an organisation we are at a key point in our journey following our regulatory inspection, with the end of the academic year looming and our imminent move on the horizon. It is therefore essential that we take stock of where we are individually and collectively and identify what has to change to move forward. 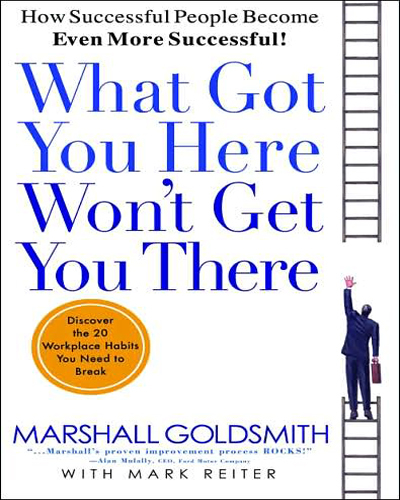 Dr. Marshall Goldsmith, author of “What Got You Here Won’t Get You There”, identifies 20 bad workplace habits that often prevent successful people making the next big leap forward in their career and seeks to define seven steps to change for the better. Firstly, Goldsmith highlights an important starting point for us all related to human behaviour. Whenever we experience success in the workplace we usually get a positive feeling resulting in our self-esteem and confidence increasing. However, this only goes so far and sometimes when we experience a number of successes we begin to adopt a handful of beliefs that aren’t necessarily true. By way of example, we may believe that we are more responsible than we actually are for the success of a particular project or begin to believe our value is higher than it is in reality. This is a dangerous trap to fall into as it alters our own behaviour and sets us up for failure, not for success. 2. Adding too much value: The overwhelming desire to add our two cents to every discussion. 4. Making destructive comments: The needless sarcasms and cutting remarks that we think make us sound sharp and witty. 8. Neativity, or “Let me explain why that won’t work”: The need to share our negative thoughts even when we weren’t asked. 12. Making excuses: The need to reposition our annoying behavior as a permanent fixture so people excuse us for it. 13. Clinging to the past: The need to deflect blame away from ourselves and onto events and people from our past; a subset of blaming everyone else. 19. Passing the buck: The need to blame everyone but ourselves. So how to make positive change for the better? 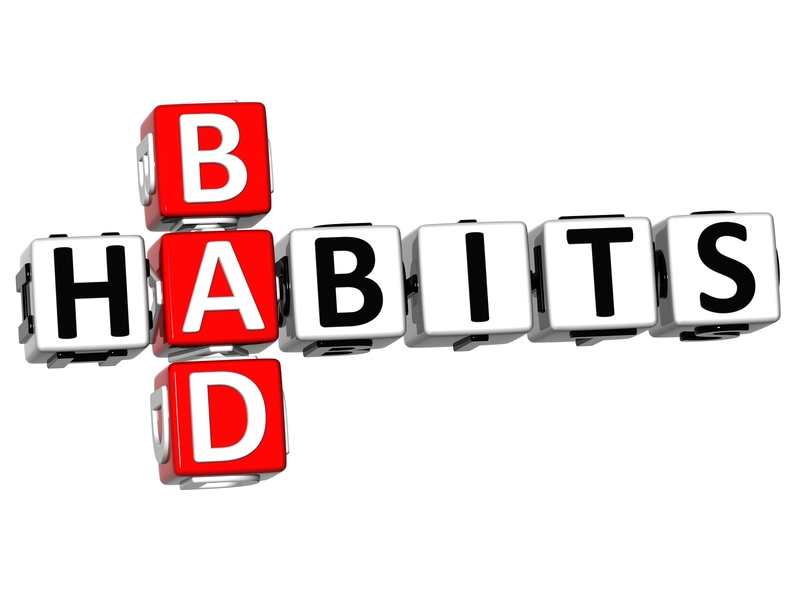 Goldsmith offers a seven step plan to eliminate our bad habits and to move to where we want to go. . Feedback Whenever feedback is given to you in any form, never respond by arguing about it. Instead, write it down and consider it later when your immediate flared passions are calmer. Thank the person for offering their opinion, put the advice aside for a while, and then look at it later with a cool head, and you’ll often find something specific you can improve on. Apologising If you realise that you have done something wrong, either very recently or in the past, apologise. Swallow a bit of pride, go up to the person, and just apologise for whatever it is. Likely, you’ll both feel better for it – you’ll lose at least some of the bad feeling and the other person will feel better too (almost always). Telling the world, or advertising Now that you’ve apologised, what are you going to do to change? The next step is to define the changes you’re going to make and to let everyone know about them, especially the people you’ve apologised to. Apologies don’t mean anything if they’re not coupled with some effort to change. Listening When someone speaks to you, listen to them. Don’t interrupt them, and try to fully understand what they’re saying before formulating a response. This is always a strong tactic to use when someone is trying to talk to you. If you can’t fully describe and articulate the message someone is trying to deliver to you, your response is guaranteed to be less accurate and thorough than it could be if you listened to the message and to the messenger. Thanking Whenever someone does something beneficial for you, thank them. Thank yous can be communicated in many forms, however in modern times handwritten notes carry a certain specialness of them. Just be sure to take the time to thank everyone who contributes to your success, both directly and in public opportunities when given the chance. Following up Once you’ve started to really work on these things and started eliminating the bad habits from your life, follow up on them. Wait a few months, then ask the person you’ve apologised to if things are still seeming okay and if you are doing well on your “advertised” plan of attack. Stay diligent yourself, and try to remind yourself often of your goals. Constant follow-up keeps you on task and on focus with anything in your life. Practicing “feedforward” At this point, you’re making real progress on your negative habits. Now, step back and ask for some future suggestions on where you should go with these changes. Ask someone who you’ve had experience with in the past for two specific things that you can do in the future to help with the behavior(s) you’re working on, listen, thank them, then work on implementing them. Much as feedback talks about the past, “feedforward” talks about the future. If you are interested in learning more from a leadership perspective and understanding how to manage these bad habits when they occur in both superiors and in subordinates a read of section 4 will prove useful. The key point is that “candor with a healthy dollop of honesty” is required to develop those around you. A healthy organisation is one that is open and honest enough to nip problems in the bud. Most major issues become major because the root causes weren’t dealt with quickly and with candor and honestly.